Having searched the market for the cheapest prices of sale, 73 bids were found for comparison. Furthermore, a large number of products in 13 relevant categories with a price range from £6.99 to £1,044.37 were found. Overall, our search showed 13 different supplier for your product "generation dolls", including johnlewis.com, Littlewoods.com, Samueljohnston.com and downyourhighstreet.com. After having chosen your companies you may also choose the delivery company. 8 delivery producers are available Merrythought, Planet Extra GmbH, Ty and B.Lux being the most popular. The most bids (11) were found in the price range from £110.00 to £119.99. 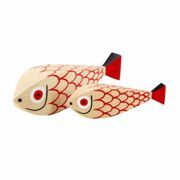 Furthermore, other users were also interested in the following product: Generations and Our Generation Doll.